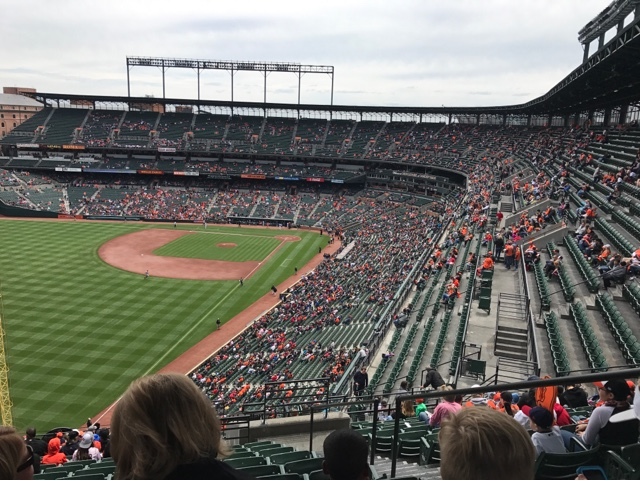 My boys enjoy baseball and my visit to my son in MD coincided with the Red Sox being in Baltimore playing the Oriole's for a three game series. It's rained since I got here Thursday afternoon and it initially didn't look good in attending the Sunday game due to predicted rain. Saturday afternoon it looked like there would be a break in the weather to get the game in. 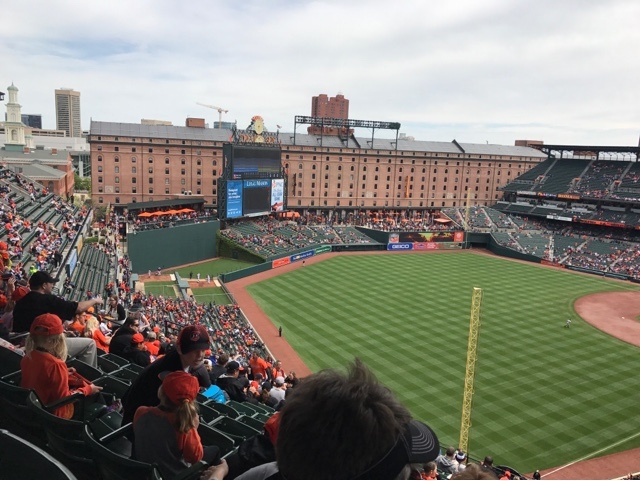 The Oriole's Park at Camden Yards is a great place to watch ball games, with the added opportunity to see the Red Sox play and buy tickets that morning. The game was well attended but far from being sold out. Our seats were in high left field, foul section. The Red Sox lost the first two of the series so the odds were in our favor for them to win. Win they did, holding off the O's from any hits until late in the game. We were entertained by a few home runs by the Sox. The final score above is only part of the story. 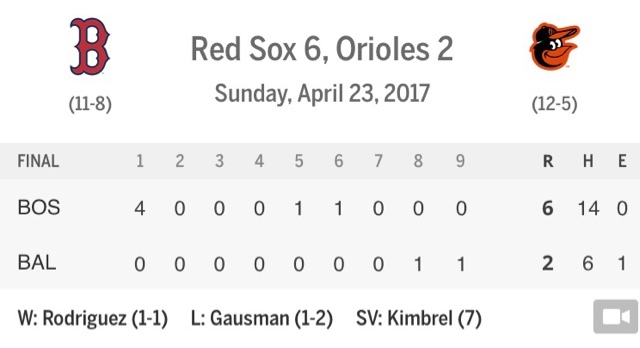 The previous game Dustin Pedroia was spiked in the leg by Manny Machado sliding into 2nd base, taking Dustin out of that game. 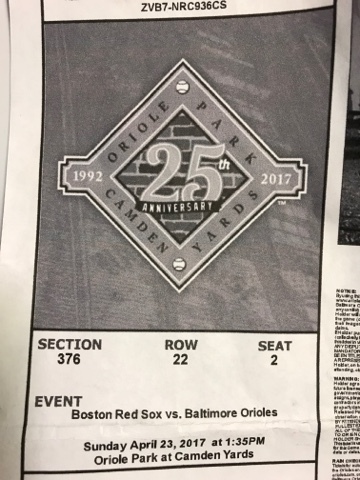 Near the end of this game I attended, Manny Machado was at bat and Sox pitcher Matt Barnes nearly hit Manny in the head, hitting his bat behind his head, in what appeared to be retaliation for the spiking incident. It brought players and fans to their feet and pitcher ejected from the game. Baseball is not without controversy.